Sequel to 1994 Doctor Who spinoff Downtime. Whovians should cherish this creepy, hokey addition to the mythos. And, while it is doubtful whether this spin-off will appeal further than the pre-existing fan base, for what it’s worth, this non-initiate was won over by Daemos Rising’s solid film making, moody ambiance and tight, lively script. In certain quarters of the internet of late, there’s been much wailing and stroking of chin concerning the relationship between fan and text; in particular, the rabid, neo Annie Wilkes-esque sense of entitlement that particular audiences harbour towards beloved properties. The exemplification of this self-regard manifested in the now infamously nonsensical rant of 'The Angry Video Game Nerd' (James Rolfe), who devoted a six and a half minutes vlog to explaining why he isn’t even going to see the forthcoming Ghostbusters film, citing his varied, tenuous reasons for avoiding it throughout (my favourite is when the increasingly hard done by Youtuber argues that when people ‘look up the movie from now on’, there’ll be two Ghostbusters, ‘the 1984 version and the 2016’- hahaha! #soinconvenient). Thing is though, while Mr. Rolfe certainly seems like a nerd, you couldn’t really say that he was/is angry - he seems lucid, sullen and, well, hurt by the prospect of a Ghostbusters remake. His diatribe is peppered with revealing first person pronouns- ‘I call it’, ‘my problem’, ‘one of my favourite franchises’ (of just two films, remember…). The subtext is embarrassingly clear; Rolfe is taking this personally, as if a multi-million dollar exercise in cross platform branding and franchise building has been in some way enacted to hurt Rolfe’s feelings. At the other end of the spectrum, there’s the insistent hashtag campaign to get Elsa a girlfriend in 'Frozen 2'. While no one could argue that diversity (especially in films for kids) isn't a good and positive thing, which enriches character and narrative, again the sense of ownership is irksome: this is what you should be doing with these characters because we say so. Rolfe argues that a ‘little fanservice goes a long way’, but this isn’t the service industry. Hollywood is big business, and no producer has an obligation towards the whims and sentiments of niche fandom; their job is to create entertainment, be it good or bad: bottom line. What happened? As ever, the fault perhaps lies with social media, which amplified not only fandom’s number, but, by giving them a platform, intensified their voice too; the truncated 140 character nature of the medium encouraging partisan, hyperbolic response, rather than nuanced discussion. There was a time when fandom used this energy productively, however. Being a Whovian in the 1990s was a lonely business (full disclosure, I am not, nor ever have been, a Doctor Who fan, but I do love the Whovians, an upbeat lot, who are thoughtful and enthusiastic in their fandom), with the BBC all but abandoning the telly Doctor. 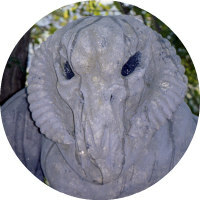 Nevertheless, the franchise didn’t die, instead, like its titular character, it bravely regenerated across different media, continuing a convergent existence in comic books, radio plays and novels - the Gallifreyan bloodline sustained by the love and support of fans, not by their persistent whining. Serendipitously, due to the labyrinthine details of the original contract, the BBC didn’t hold the rights to certain characters and situations associated with the property, which allowed particularly enterprising audience members to explore and expand the universe by producing side stories and fan films (using their energy to create and build, instead of impotently moaning about their lot - imagine that!). I was quite taken by the re-release of 1995’s ‘unofficial’ Downtime last year, and so was pleased to discover Keith Barnfather’s (prod/dir) Daemos Rising, Reeltime’s decade later sequel to the earlier film, on my doormat this week (and Downtime is itself a sequel to the Patrick Troughton era official episodes - you have to love the sustained, organic complexity of this universe!). Daemos Rising sees Cavendish (Miles Richardson), who is broken by his experiences in Downtime, hiding away in a (lovely) country cottage. Also returning from Downtime is Kate (Beverly Cressman), who travels to see Cavendish, after the latter’s plea for help. The film opens with a doomy voice over, narrated by Ian Richardson, (possibly) commenting on evil forces that play with lesser life forms ‘like ants’, as dry iced images of cathedrals, Stonehenge and the moon flicker before us. The tone is set for a particularly British folk horror, substantiated by the reason Cavendish has called upon Kate for help; via a half inched Necronomicon, he’s only been messing with the occult. Can our plucky pair put a stop to the evil that Cavendish has inadvertently summoned? Locating the action primarily to the cottage and a nearby catacombs, Daemos Rising is closer to a longer episode of the television show than the filmic aspirations of Downtime, with the accordingly ropey production values of a Tales of the Unexpected episode and performances straight out of Crossroads - but would a Whovian expect anything less? The charm here is screenwriter (and mega fanboy) David J. Howe’s script, which offers a Nigel Kneale-esque blend of horror atmosphere and SF ideas; Cavendish’s immersion in the occult is aligned with his alcoholism (‘the book started to control me’), and the threat builds upon his all too human lust for his ostensibly platonic pal, with the monster at one point materialising as a sexpot version of Kate. In its true form the creature is a doozy too; a CGI escapee from the original Doom PC game, whose motivation for power (‘Power! Power!’) is possibly driven by extra-terrestrial jealousy of our very humanity; ‘What is a heart?’, the Microsoft paint monster questions, plaintively. Whovians should cherish this creepy, hokey addition to the mythos. And, while it is doubtful whether this spin-off will appeal further than the pre-existing fan base, for what it’s worth, this non-initiate was won over by Daemos Rising’s solid film making, moody ambiance and tight, lively script. Touching proof that fan energy done right can, indeed, reverse the polarity of the neutron flow… (is that right?!). The plethora of extras on offer give Whovians further reason to update their VHS bootlegs of Daemos Rising, with a new retrospective, a behind the scenes feature, and various goodies including a sequence where Guy Leopold Speaks!, amongst several other featurettes made for and by fans of the franchise. Unfortunately, Koch Media didn’t equip my screener with these sundries so I am unable to verify their quality. 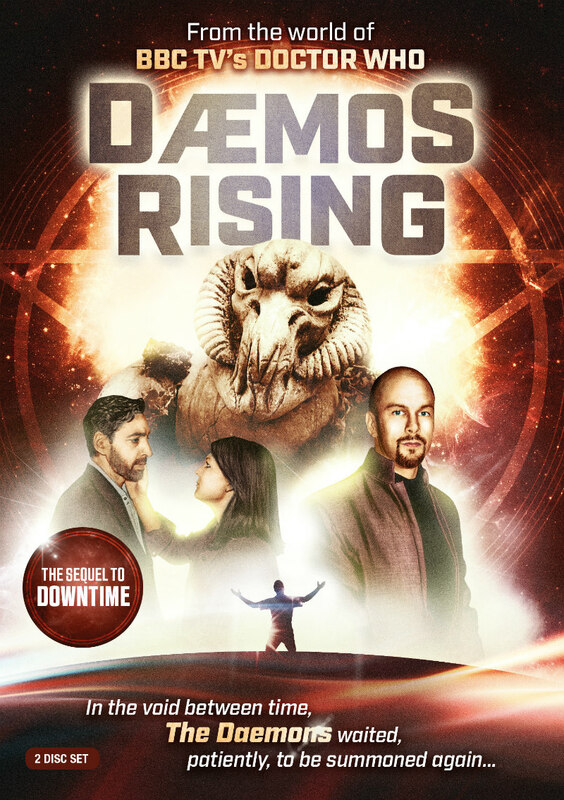 Daemos Rising, from the world of Doctor Who, is on DVD July 18th, 2016.